The race to become the federal Conservatives’ candidate in Dauphin has claimed a second Manitoba farm leader. MBP didn’t say which nomination Fox will seek, but the Brandon Sun reported Wednesday that Fox will run for the Conservative Party candidacy in the northwestern Manitoba riding of Dauphin-Swan River-Neepawa. The riding is currently held by Conservative MP Robert Sopuck, who announced in May he wouldn’t seek re-election. Canada’s next election is set for Oct. 21, 2019. Fox had been elected in February last year as MBP’s president, having previously served as the association’s secretary. 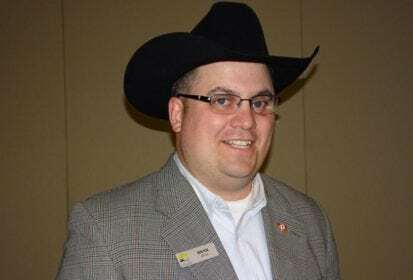 For the Tory nomination, Fox will run against Dan Mazier, who quit his post as president of Keystone Agricultural Producers (KAP) last month to seek the same nomination. Floyd Martens, a Roblin resident, school division trustee and past president of the Canadian School Boards Association, is the only other declared candidate for the nomination so far, according to the Sun. Tom Teichroeb, MBP’s vice-president and District 8 representative and a rancher at Langruth, about 65 km northwest of Portage la Prairie, now becomes the group’s interim president.